Hi everyone! Boy, this has been a long, rough couple of weeks. My daughter and I have both has a respiratory "thing" that has just lingered. I have a bunch of ideas for blog topics so I'll share some of those with you soon. 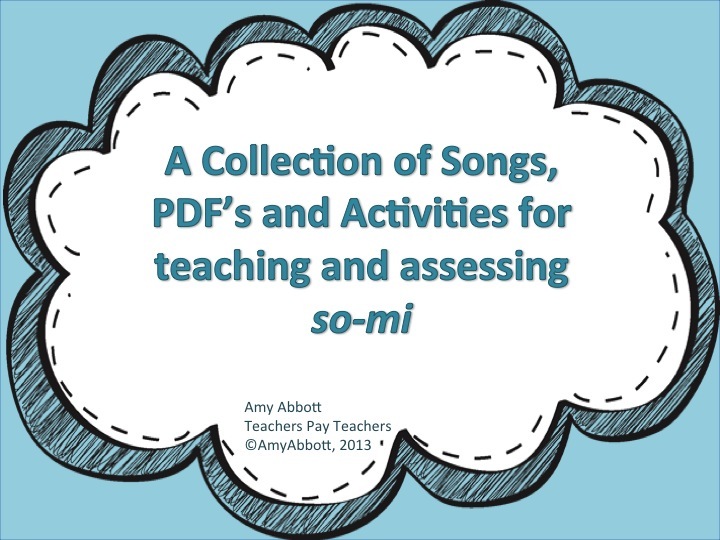 In the meantime, I have made a collection of songs, PDFs and activities & assessments for teaching so-mi. Just like my ta & ti-ti file, I'm not giving you a concept plan. I really believe that you need to take a Kodály level and have the reasoning and education behind them. 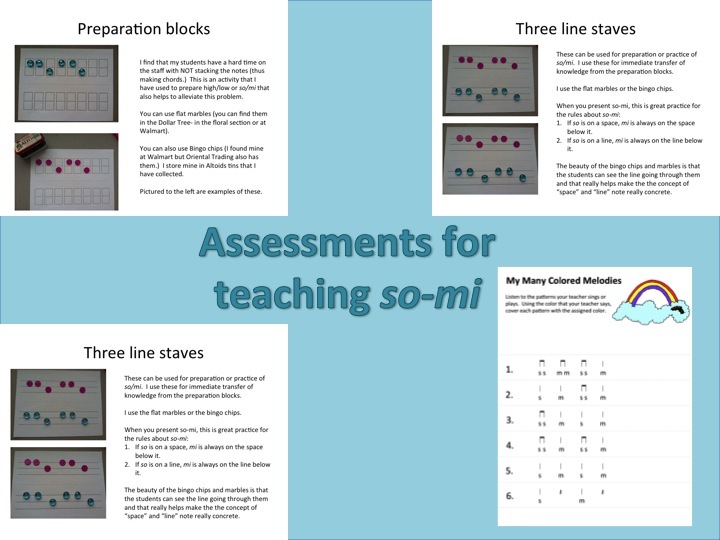 I also feel that you need to make a concept plan that is specific to you, your song literature, your kids and your teaching situation. That being said, if you're in Colorado, sign up for level I!!! My dear friend Tanya LeJeune is teaching it again at Colorado State and she's amazing!!! I'm so honored that I get to teach level II this summer, along side her! 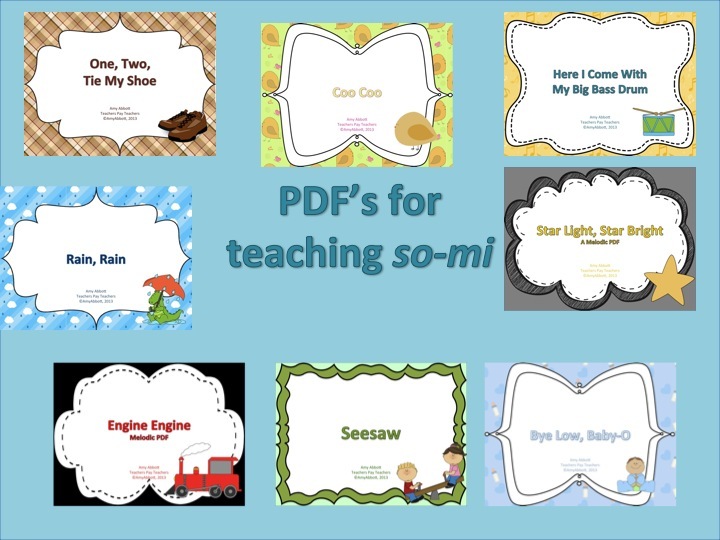 There are eight PDFs that each have preparation, presentation and practice slides. 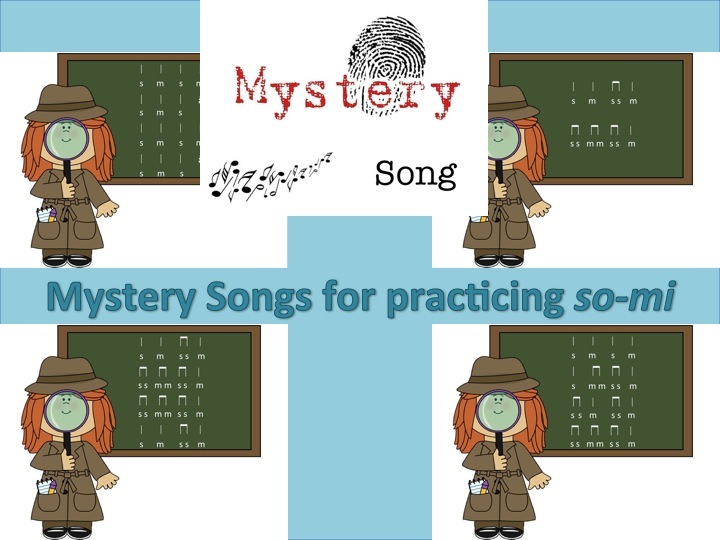 There's also a disappearing song activity; iconic, stick and staff flashcards and 26 songs, most of which have an activity that is included. It's finally NOT snowing in Colorado so I'm headed outside to my garden. Have a GREAT weekend!